Glenhill Condos is a new condo, hotel and retail project by Lanterra Developments and is currently in pre-construction. Glenhill Condos architect is designed by IBI Group. The new project will be located at 2788 Bathurst Street in North York. The major intersection is Glencairn Avenue & Bathurst Street. Glenhill Condos will be 10 storey tower with 94 lavish residences. Units will be a mix of two bedrooms and 3 bedrooms. The building will feature retail space on the ground-level. The estimated completion date for Glenhill Condos is still unknown. Glen hill Condos will feature suites with balcony and terraces and a rooftop amenity with views of the beautiful Bedford Park neighbourhood. The building will have underground parking. Other projects by Lanterra Developments are Rodeo Drive 2 Condominiums, Rodeo Drive Condominiums, Artists’ Alley Condos, The Britt Condos, 3018 Yonge, 501 Yonge Street Condos and Treviso Condos Phase 3. 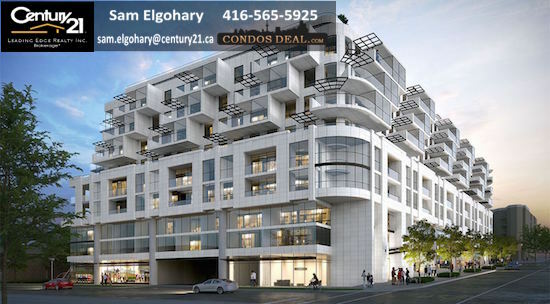 For more information visit: https://www.condosdeal.com/glenhill-condos-in-north-york/?